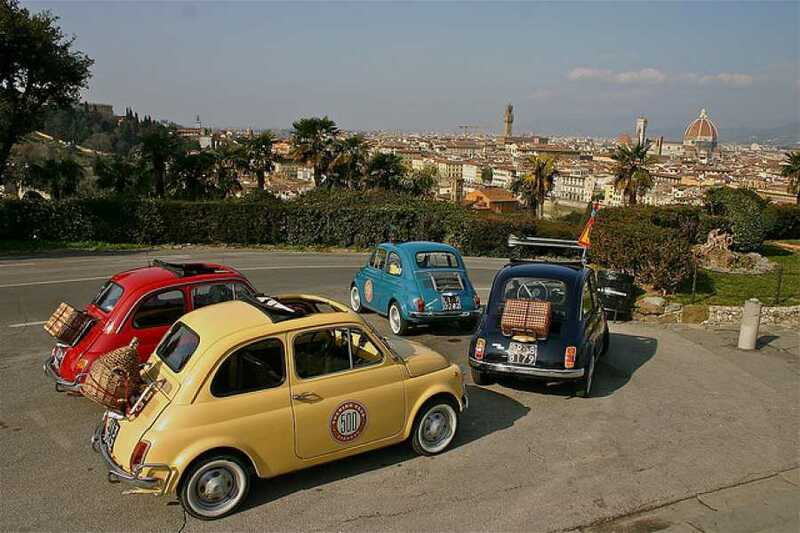 Join us for a breathtaking morning drive through the picturesque Chianti hills around Florence! First we will walk you through the steps to master the concept of the Fiat 500 Double-Clutch so as to enjoy the beauty of an iconic Italian car and lifestyle. Throughout our various stops along the enchanted Tuscan country roadside, your guide will entertain you with splendid stories of the Italian past and unique local lore. The gently winding roads are a joy to drive and you will feel like you are driving in a postcard. No tour would be complete without seeing the traditional roads lined with cypresses, wild flowers all around you and the unmistakable classic Italian architecture. While we call the road we’re traveling “Via Chiantigiana” you’ll just call it love. Choose this tour if you want to warm your heart to the classic Italian lifestyle. A valid driving license is required and you must be at least 18 years of age to drive, at least 13 years to be a passenger.